Arranged by the Clancy Brothers and Robbie O'Connell, unless otherwise noted. Pat Cooksey is the writer of "The Sick Note" (AKA Dear Boss, Bricks, the Bricklayers Song, etc.) and often NOT credited, as on this recording — which states, "arr. by Robbie O'Connell"
Mis-spelled on the album as "Erik Bogel". Originally credited on the Flowers of the Valley as "E. Winter - Clancy Brothers"
Peadar Kearney, was the author of the Irish National Anthem and uncle of Brendan and Dominic Behan — his name is (mis) spelled differently just about every time it appears on a Clancy Brothers album. 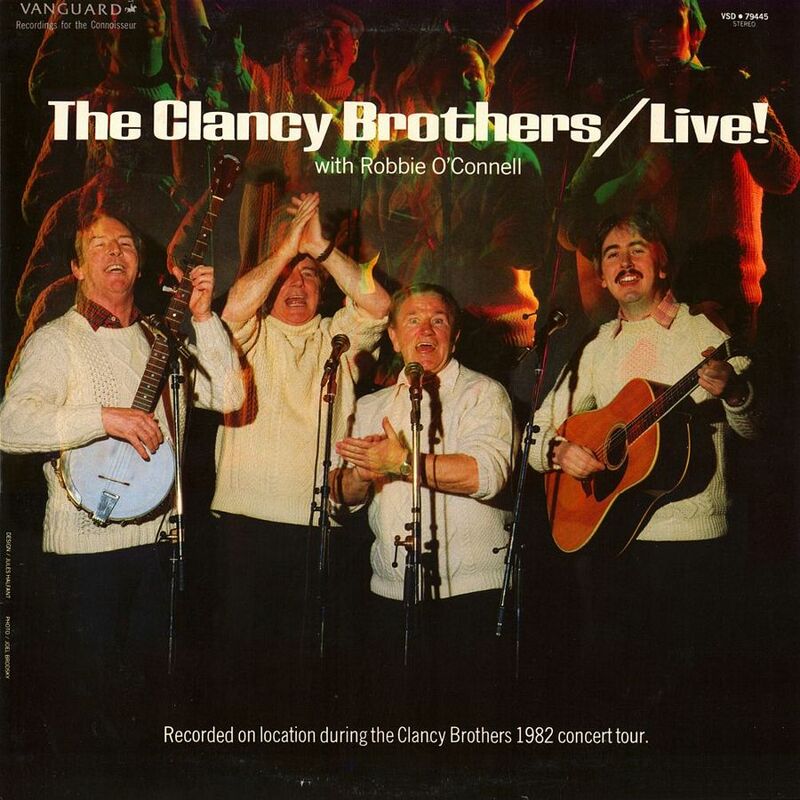 Formed in the 1950's, and still going strong, the Clancy Brothers are the outstanding Irish folksinging group of our times, bringing the spirit of Ireland and its music to many countries through their concerts and recordings. 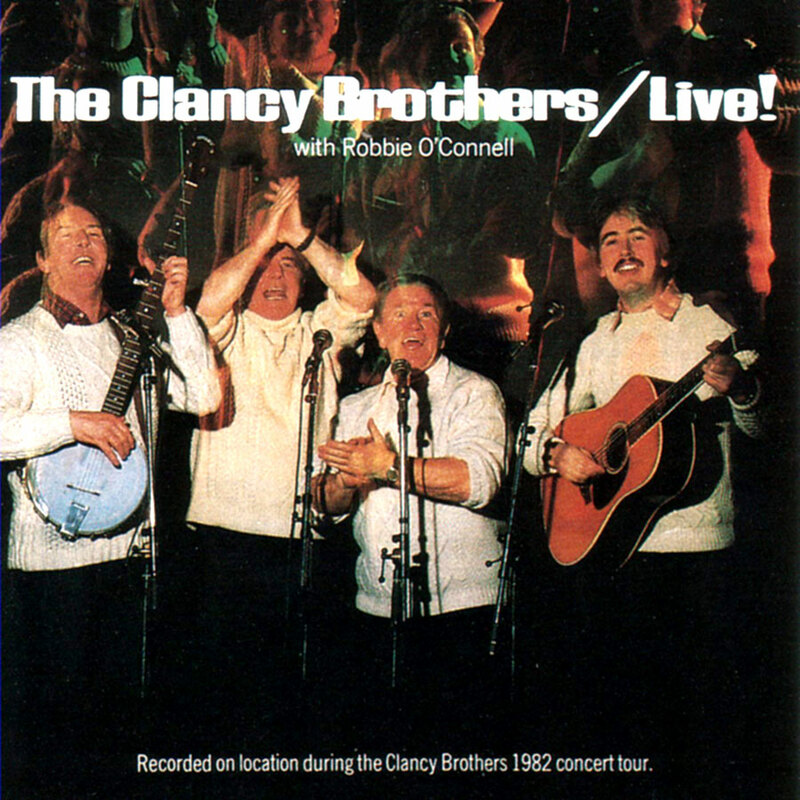 This album, recorded "live"' in the spring of 1982, is their first new album in some years and contains ten songs which have never before been recorded by them and which represent the cream of the Clancy Brothers' current repertoire. As usual, the songs cover the widest range of traditions and emotions — from drinking songs to rebel songs, from tall-tales to small-tales, from the hilarious to the ironic, from the lyrical to the tragic. 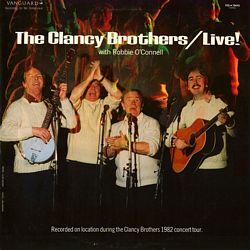 PAT CLANCY is the eldest of the Clancy Brothers, and one of four boys and five girls born in Carrick-on-Suir, Co. Tipperary, Ireland, to Bobert and Joan Clancy. During World War II he spent two years in India as a Flight Engineer and a few years later emigrated to the United States. In 1953 he co-founded, with brother Tom and Noel Behn, the Trio Productions at the Cherry Lane Theatre in New York. 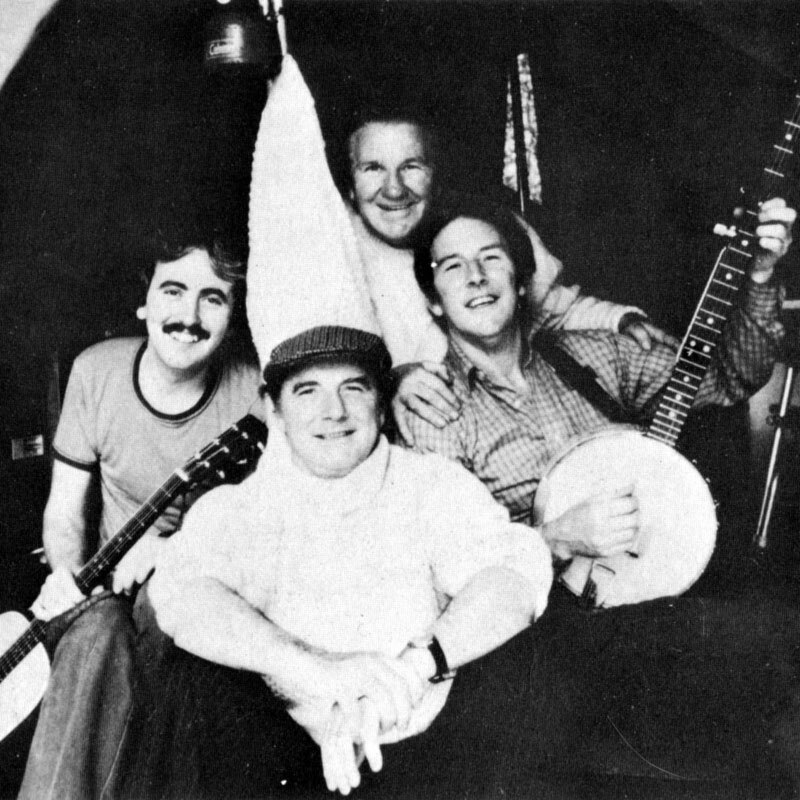 At that time he and Tom became active in the folksong revival here and he started his own record company, Tradition Records, which was the first label to record the Clancy Brothers and Tommy Makem. Pat has the best of both worlds: part of the year he tours with the Clancy Brothers while at the same time in Ireland farming and breeding exotic cattle with a dairy herd thrown in for good measure. TOM CLANCY, the leading actor in the family, received his first theatrical training with various Shakespearean companies that toured Ireland. Arriving in America in the early fifties, he became part of the off-Broadway movement and subsequently appeared in many live dramatic telecasts. Soon the folk music revival was in full swing and the phenomenal success of the Clancy Brothers allowed little time for his acting career. On his recent return to the Broadway stage, Tom started right back at the top, with Jason Robards and Colleen Dewhurst in O'Neill's "A Moon for the Misbegotten;" then on to Hollywood, where he now spends a lot of time, starring in major-feature motion pictures and on television. Tom has a nimble intellect and a varied range of interests, from poetry and drama to philosophy and politics. When his schedule permits he enjoys fishing for mackerel off the south coast of Ireland. BOBBY CLANCY became interested in collecting and singing folksongs at an early age. "Irish music is," he says, "the song and spirit you learn, by listening to wandering singers who still are a part of the scene," and by tramping through town and countryside listening and learning. He has won many awards at Irish music festivals. "Bobby Clancy Sings" was his first TV series in Ireland, followed by other weekly programs and numerous appearances on BBC, Canadian and West German TV. In addition to playing the guitar, banjo, harmonica and Bodhrán (goat-skin drum), his activities include acting, poetry reading, storytelling and singing songs from many nations. Between concert tours with his brothers, Bobby runs an insurance broker's office, makes an occasional TV commercial, enjoys photography and is blessed with a keen eye and quick wit. ROBBIE O'CONNELL, the youngest member of the group, is a nephew of the Clancy Brothers. He, too, grew up in Carrick-on-Suir, where he began playing the guitar and writing songs at the age of 13. "I've written close to two hundred songs." he reveals, "but only about one in ten is worth remembering." (He has recorded two of them and the Clancy Brothers perform one, "Ferrybank Piper.") Robbie is also an avid collector of folk music and loves hunting down different versions of songs and tunes in the counties adjoining his native Tipperary. When not on tour, Robbie helps run the family hotel and organizes concerts that have made Tinvane Hotel a leading center of Irish folk music. When this album was released, it claimed to contain all new songs. That is to say that there was all new material here. Well, that just isn't the case. Who was responsible for this false advertising? Well probably never know. The line-up here was Paddy, Tom and Bobby Clancy, with their nephew Robbie O'Connell. This recording is available on CD.